For quite a while we have been looking for the right oral formula to be used along with Can-C eye-drops. The problem has been that a number of popular eye supplements contain lutein and astaxanthin which compete with the n-acetylcarnosine for receptors within the eye. Whilst this is not “dangerous” it can means that the efficacy of the eye-drops is reduced. This is problematic because the “star” of the show is the n-acetylcarnosine and the first priority is to deliver this effectively. We appreciate that you may not have heard this from other sources before, but this is because they are not close to the source as IAS is and they do not understand the eye-drop technology. So we are now delighted that a unique, new and patented formula has been developed by the inventors of Can-C. The new formula is called Can-C Plus and its synergistic combination of ingredients provides an environment for Can-C eye-drops to be even more beneficial. 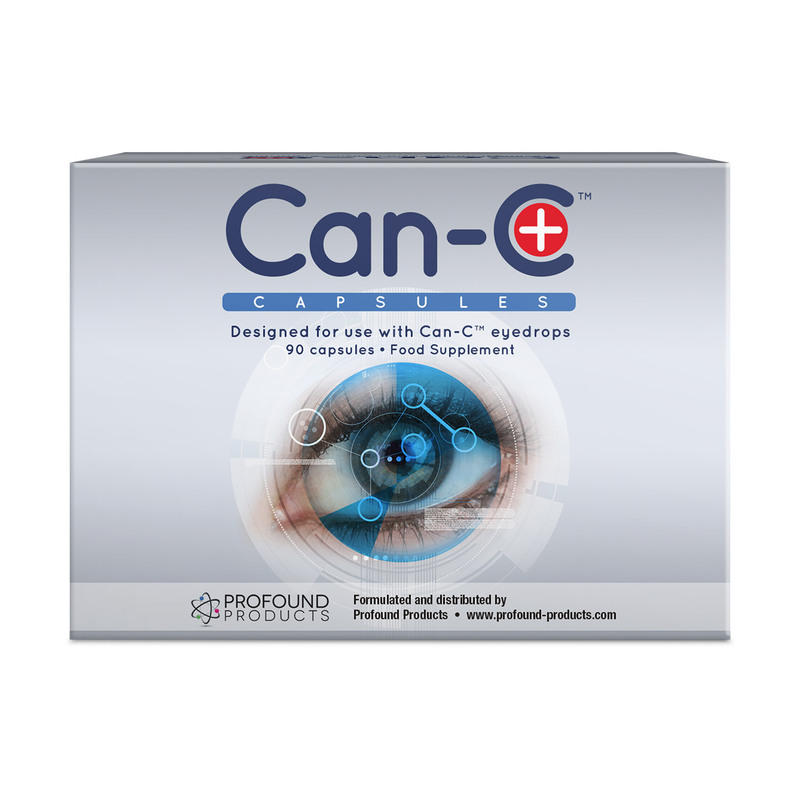 Can-C Plus helps to enhance free radical protection and reduce the oxidative environment inside the eye. In addition, Can-C Plus helps prevent the carnosine in the eye-drops from being broken down; this action increases both the potency of the eye-drops and the length of time that the eye-drops remain active in the eye. Want the maximum benefit from day one and thus take 1 tablet of Can-C Plus two or three times daily along with the Can-C eye-drops. Those who have very dense cataract and severely diminished vision to start with should combine the tablets with the eye-drops from day one. This will give the best environment for the eye-drops and thus to give the best results they can achieve within 5 to 6 months. Or those who are budget conscious can extend the efficiency of the eye-drops by adding the tablets to the regime after 5-months of applying the eye-drops by themselves first. Be the first to email us with a review this product.